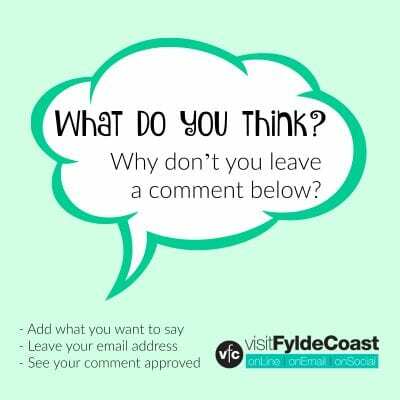 Here at Visit Fylde Coast we’re fascinated by the history of Cleveleys. Here’s a small selection of information to whet your appetite. If you like local history you’ll also enjoy the Thornton Cleveleys Past Facebook group (TCP).  It’s a source of the most fascinating local information! Heading out about a mile into the sea in front of Rossall Beach at Cleveleys, the hamlet of Singleton Thorp was reputedly to be found. The name Singleton being a derivation of ‘Shingleton’, in other words habitation in a shingly place. In 1555 the sea surged inland and destroyed several villages, one of which was Singleton Thorp. Legend has it that most of the inhabitants escaped and moved inland and settled in what is now Singleton Village. This inundation also spelled the end of the Forest of Amounderness and farmers still find broken branches from that surge in their fields today. 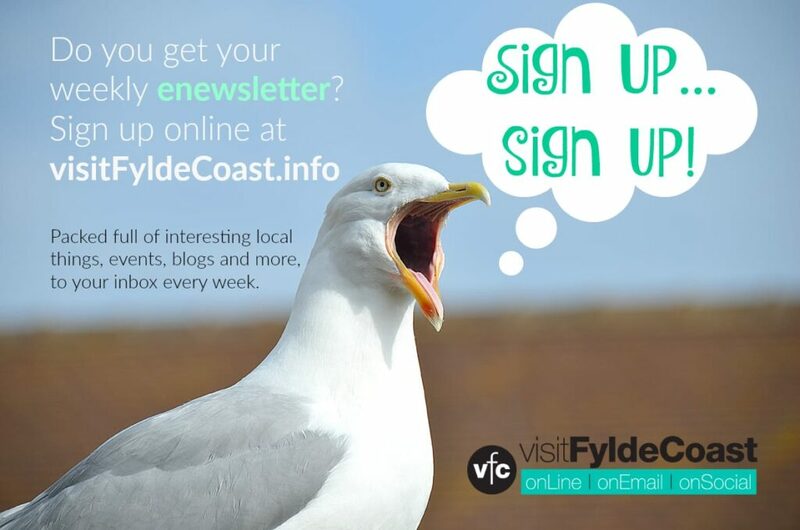 The sea never retreated back to where it came from, and year on year the Fylde coast started to erode. If you’re interested in coastal processes, take a look at our new Coast Watchers project. There is still the evidence on the beach at Cleveleys of petrified forests when the tide goes out. Low spring tides sometimes expose preserved tree trunks, once buried under the tide all those years ago. In 1643 a Spanish Vessel came ashore at Rossall Beach, of course both the Parliamentarian and Royalist armies were after the prize. However, Cromwell’s army had to go round by Garstang and Over Wyre where his supporters were. On the other hand, Lord Derby being amongst friends, was able to march right up to Layton Hawes and alongside the Fylde coast without any interference. He therefore secured the booty for the Royalists. 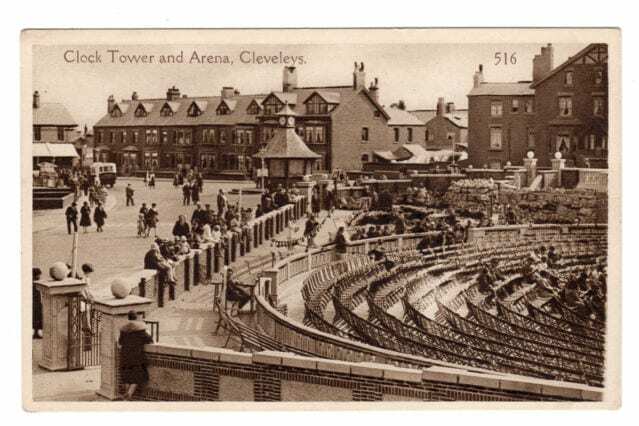 What we now know as Cleveleys, like many other places, grew slowly over time. The next mention seems to be this advert, placed in the Manchester Mercury on 4 April 1783. Unless you know different! This makes it clear that the inn itself was called Cleveleys, and suggests that it took its name from an earlier landlord called Cleveley, as many hotels did in those days. However, the name has not been linked to any known person of that name. It seems that in the next century (the 1800’s) that the locality was sometimes called Cleveleys and at other times Ritherham, after the nearby farm. 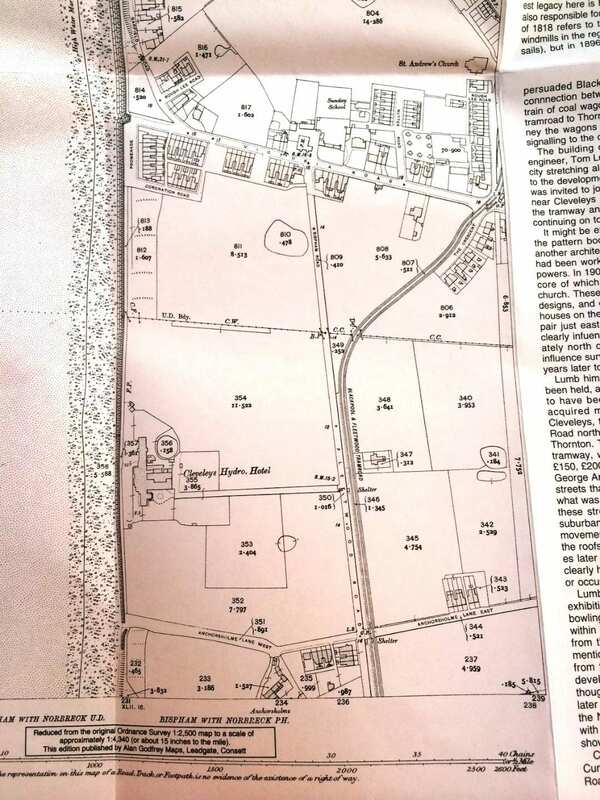 As far as I can see, the earliest suggestion of an inn on the site is the mention of “Bowling Green” on Fearon & Eyes’ navigational chart of 1737. I do not know what it was called. It may well have been the Eagle. I seem to recall Catherine Rothwell mentioning somewhere the inn being called the Hesketh Arms, but I don’t know where she got it from. If you read page 86 of Steven King’s “A Fylde Country Practice,” he doesn’t actually give a date for the reference to Thomas Danson of Cleveleys. The date 1757 belongs to a previous sentence and a different entry in Dr. Loxham’s account book. Therefore the entry could have been for any time between the 1750s and the 1780s………. The first road which led over Thornton Marsh was built with gravel from the beach, ordered by the Marsh Act Award in 1805. (Do you know by who specifically?) Old sea defences, were known as ‘ramps’, ramparts or banks enclosing the marshland, and you can still see traces of them today. ‘Ramper Road’, was re-named Victoria Road at the time of the Queen’s Jubilee. That’s our main shopping street in the town centre. In 1820 because of sea erosion the old ‘Ross Hall’ and its accompanying building was abandoned and is now underwater. A new ‘Ross Hall’ was built further inland which is now part of Rossall School. The Cleveleys Coastline was wider in the eighteen hundreds. Before any sea defences were built, Spring tides had speeded up coastal erosion. This was quite alarming to the authorities and to the estate companies who were losing land. Some dwellings, like Fanny Hall, crumbled and fell. The Coast Erosion Committee found that the loss of land was three yards every year. There was probably a settlement here in the Middle Ages although the name of Cleveleys is probably new. Much of the land from the 1700’s belonged to the Fleetwood Hesketh family. And much of that was sold off after their railway plans in the 1800’s became the downfall of their wealth. Lands in Cleveleys were being mainly sold to the Horrock’s family who were textile manufacturers from Preston. Technically this wreck is just in the borough of Blackpool, but what’s a few yards of sand between friends. At low tide on the beach just off the new sea defences at Princes Way, you can see the wooden remains of the Abana shipwreck. The Abana was sailing from Liverpool to Florida, when she was caught in a storm in the Irish Sea on 22nd December 1894. She ended up drifting north and was wrecked off Little Bispham at 5pm. The crew of the Abana and the lifeboat, including the ships dog, were taken to the Red Lion Inn at Bispham to recover from their ordeal. The ship’s bell and dog were given to the landlord of the Cleveleys Hotel, who had raised the alarm. The ship’s bell now hangs in St. Andrew’s Church in Cleveleys. 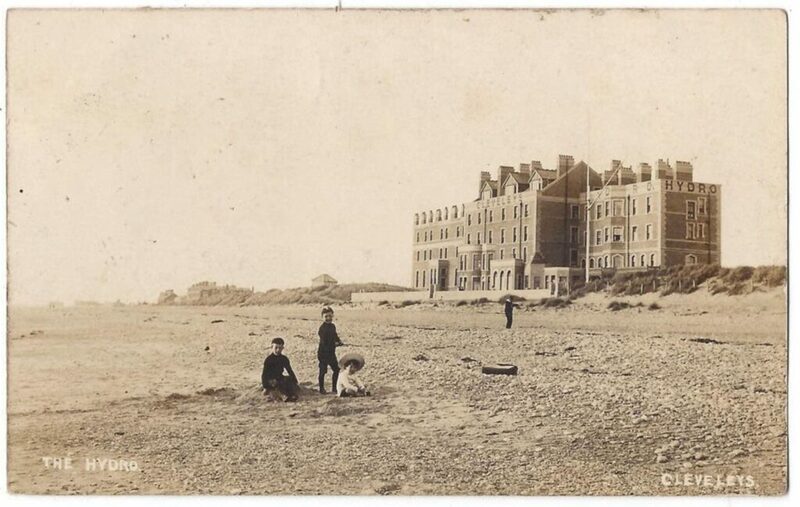 This was a big, prominent hotel, around where the ‘pointy roofed’ houses are today at Anchorsholme. Built in the late 1800’s on the site of the former Eryngo Lodge, it was fully licensed, heated throughout, with hydropathic baths, an 18 hole golf course, tennis courts and a resident orchestra. It held banquets, dance and whist drives. As the years passed, coastal erosion continued at Cleveleys, which was also speeded along with the help of local people (much like today). The natural sea defence of sand, gravel and boulders were moved. In 1901, it was said that 6-12 carts each day were taking materials from the shore in front of Cleveleys Hydro (the Kingsway area to the side of the pitch and putt behind Princes Way). That was in spite of a notice displayed by the council. On April 18th 1905 a notice by the Board of Trade was printed in the London Gazette, prohibiting this removal. It wasn’t until some years later that modern sea defences were built. 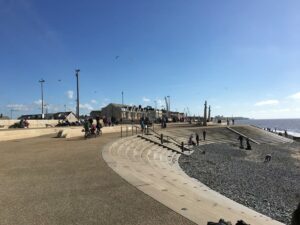 Cleveleys is now a popular seaside town, busy all year round with residents and with visitors. But it wasn’t always like that. Like most towns and villages its streets, buildings and landmarks have changed over the years. With the help of an original Ordnance Survey map from 1910 you can see just how the growth of Cleveleys has happened. 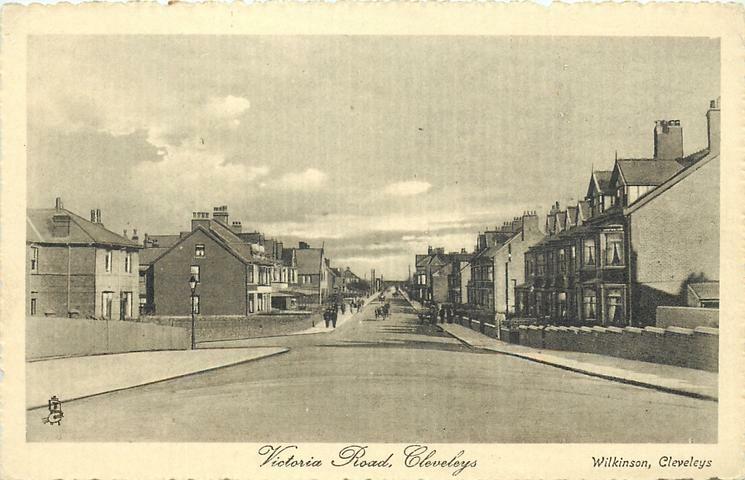 We’ve collected together lots more old photographs of Cleveleys here which you’ll enjoy. It was the tramway which spurred on the growth of Cleveleys, accelerated by a man called Tom Lumb who had visions of a coastal city stretching along the Fylde. Mr Lumb was the one who employed Lutyens, who drew up plans for a Cleveleys Garden City. Those plans were never realised, although some of the arts and crafts style houses were built to his designs. They still stand today. In 1904 the Fleetwood Estates Company acquired the land from the Horrocks estate, and organised the ‘Cleveleys Cottage Exhibition’ in the area which is now known as Cleveleys Park. This marked a stage of growth in the history of Cleveleys. The chemical works on the banks of the Wyre at Burn Naze in Thornton were once owned by ICI. It’s now the Hillhouse Estate which is managed by NPL and undergoing growth once again as the site of an Enterprise Zone. The chemical works drove the growth of the Thornton area, as hundreds of workers moved there, then spreading out to Cleveleys. Victoria Road was partly outside the control of the Fleetwood Estate Company and grew in a haphazard way to become the shopping centre it is today. Beach Road was also once a high street. The shops there have closed over the years as people gradually favoured Victoria Road West as the main high street. Below is a section from the old 1910 map. See the tram line running vertically through the area, and Victoria Road West goes from right to left near the top of the image. On the left near to the sea is the former Cleveleys Hydro and at the bottom of the image is Anchorsholme Lane. Notice how few streets of houses there are, and how few buildings there are on Victoria Road West. Thornton and Cleveleys are two separate places. Cleveleys is of course the place next to the sea while Thornton is slightly inland. It’s the area just off the A585 around Marsh Mill, including land towards the banks of the River Wyre. 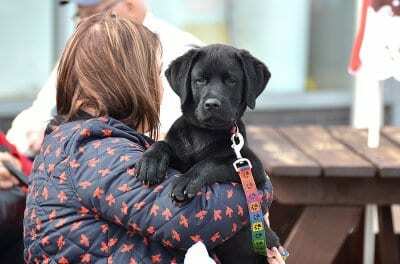 The name comes from the railway station of the Preston and Wyre Railway. It was called ‘Thornton for Cleveleys’. Over the years the ‘for’ has been dropped, leaving us with the name we are familiar with now. The last in a long line of shipwrecks was the Riverdance Ferry. On the night of 31st January 2008 a storm blew it off the course of its Ireland to Heysham sailing. It ended up on the beach at Anchorsholme, ironically, near where the Abana had wrecked, many years before. Removing the ship from the beach turned into a long saga in the history of Cleveleys. First it was cut up and taken away in trucks. Then the outfall pipe under the beach had to be repaired. With all of that space, the ferry had still managed to land right on top of it and crush it! A fascinating history, really enjoyable and informative.